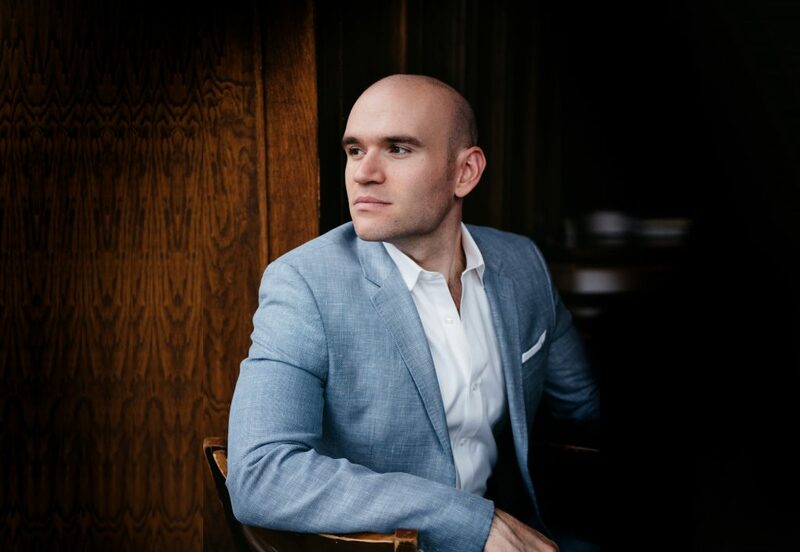 For many Windy City opera fans, it has taken an unconscionably long time for the internationally acclaimed singer Michael Fabiano to make his debut at the Lyric Opera of Chicago. So there was much excitement when the Lyric announced that the gay American tenor would star as Rodolfo in its new co-production of La boheme this month and again in January. “It’s quite simple, but it’s beautiful,” said Fabiano about British director Richard Jones’ take on Puccini’s classic 1896 opera. Fabiano previously starred as Rodolfo when Jones’ production debuted last year at the Royal Opera House Covent Garden. Fabiano’s London performance was also captured for a recently released DVD. For the split Chicago run, Fabiano is joined by Italian soprano Maria Agresta as the sickly seamstress Mimi and Australian soprano Danielle de Niese as the gold-digging flirt Musetta. Both sopranos starred in a London revival of the same production this past summer. Also making a Lyric debut with La boheme is Domingo Hindoyan, a Venezuelan-Swiss conductor who will keep pace for the opera’s poor artists as they all sing about love and loss in 1840s Paris. Fabiano, a native of Hoboken, New Jersey, largely came onto the radar of opera fans when he was named one of six winners of the 2007 Metropolitan Opera National Council Auditions. That year was significant since Fabiano and fellow winners like soprano Amber Wagner, mezzo-soprano Jamie Barton and tenor Alek Shrader were all captured by director Susan Froemke for her 2009 behind-the-scenes documentary The Audition. Fabiano projected lots of self confidence ( some would say outright arrogance ) in interviews for the documentary. But as a winner, Fabiano’s tactics to calm with his nerves and get himself psyched up before his performance all clearly worked. Indeed, as Fabiano’s opera career has grown, he has gone onto win other accolades. In 2014, Fabiano had the distinction of being the first singer to win both the Beverly Sills Artist Award and the Richard Tucker Award in the same year. Fabiano was also recently signed to an exclusive recording contract with the European label Pentatone—a rarity in these days when many opera fans worry about the state of the classical music industry. In addition to Chicago, Fabiano will be making other important debuts this season. Fabiano is set to star as the lecherous Duke in a new production of Verdi’s Rigoletto for his debut at Berlin’s Staatsoper. He also will be making role debuts as Faust in Boito’s Mefistofele at New York’s Metropolitan Opera and Carlo VII in Verdi’s Giovanna D’Arco for Madrid’s Teatro Real ( another co-producer of the Lyric’s new La boheme ). And Fabiano isn’t just flying high career-wise. In an interview with BBC Radio 3, Fabiano talked about his love of flying planes and the difficulty he had finding time to pass tests for his pilot’s license. In the early 2000s, American opera singers like soprano Patricia Racette and mezzo-soprano Jill Grove had to be decisive in in managing how they would publicly come out ( both did so in Opera News magazine ). But since then as LGBTQ people have fought for more rights in the U.S., that hasn’t been much of a concern for Fabiano. Indeed, many opera fans first learned about Fabiano’s spot on the Kinsey scale in August 2017. That’s when he publicly announced his pending nuptials to Bryan L. McCalister, a young associate director on the board of the Metropolitan Opera. But before then, Fabiano will be singing out Rodolfo’s love for Mimi in his Lyric debut. I am out, and I am happy, and that's it.